If you have any questions about the APHRODITE A information page below please contact us. The work of the Vitters Shipyard Bv yacht builder in the Netherlands the APHRODITE A is 43 metre 140 (ft) in length. 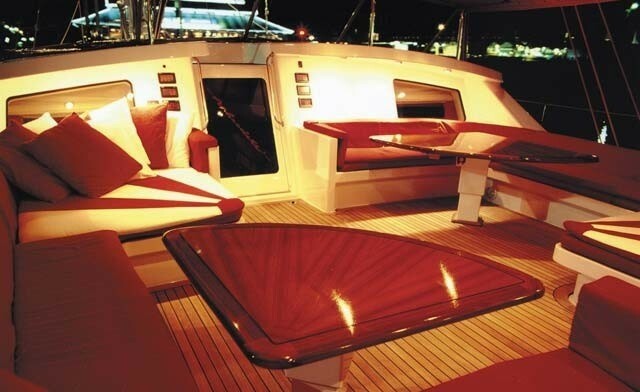 Launched by 1999 this boat’s interior design reflects the design know how emanating from the boards of Hoek Design. Superyacht APHRODITE A can accommodate up to 8 people with 6 professional crew. Her former names or project names were Aphrodite Ii. She can attain a high speed of 14 knots. Hoek Design was the naval architect firm involved in the professional nautical composition for APHRODITE A. Also the company Hoek Design expertly worked on this venture. Interior designer Hoek Design was charged with the internal internal ambience. the Netherlands is the country that Vitters Shipyard Bv completed their new build sailing yacht in. After formal launch in 1999 in Zwartsluis she was afterwards handed over to the owner having completed final finishing. Her core hull was constructed with aluminium. 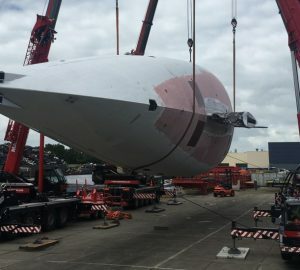 The sailing yacht superstructure component is made predominantly from aluminium. 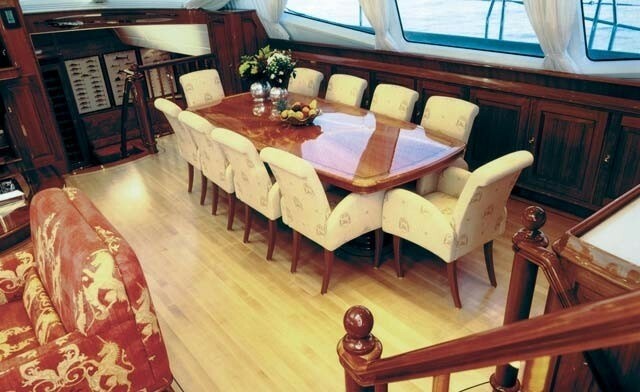 With a width of 9.27 metres or 30.4 ft APHRODITE A has spacious room. She has a reasonably deep draught of 4.39m (14.4ft). Connected to her MTU engine(s) are a single screw propeller. The main engine of the ship creates 830 horse power (or 611 kilowatts). She is fitted with 1 engines. The total power for the yacht is accordingly 830 HP / 611 KW. The bow thrusters are Hydrosta / Stern: Hydrosta. 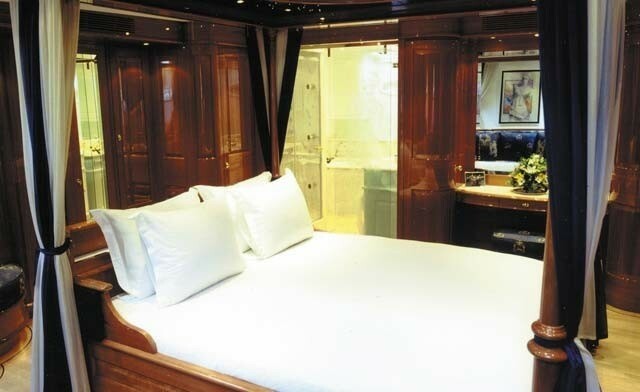 Apportioning chambers for a limit of 8 visiting passengers sleeping aboard, the APHRODITE A accommodates them in luxury. She also carries circa 6 expert yacht crew to maintain and sail. 42.67 metres / 140 feet. Her Engine(s) is one 830 Horse Power / 611 Kilowatts MTU. 3600 at a speed of 9 knots. Northern Lights 2 times 66 kilowatts, 1 times 25 kilowatts. Gti -Zephyr is the type of air-con fitted onboard. This sailing yacht has a teak deck. The luxury yacht APHRODITE A displayed on this page is merely informational and she is not necessarily available for yacht charter or for sale, nor is she represented or marketed in anyway by CharterWorld. This web page and the superyacht information contained herein is not contractual. All yacht specifications and informations are displayed in good faith but CharterWorld does not warrant or assume any legal liability or responsibility for the current accuracy, completeness, validity, or usefulness of any superyacht information and/or images displayed. All boat information is subject to change without prior notice and may not be current.